The aftermath of an injury can be painful, stressful and an emotionally draining experience particularly when the injury is severe. When that injury is caused due to someone else's negligent or careless acts, additional complications become factored into the equation. Hiring an experienced Atlanta personal injury lawyer can be crucial to ensuring you receive compensation vital to your physical and emotional recovery. 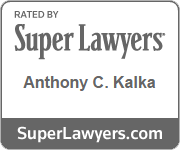 At Kalka & Baer LLC, we provide you and your family with viable strategies and solutions. As a firm, our goal is to make every effort to continue this level of excellence as we create solid relationships with each of our personal injury clients. Our team has a history of tremendous case results, including millions recovered for our clients facing the aftermath of car accidents, motorcycle accidents, truck accidents, and other types of accidents. With over 30 years of combined legal experience, we have handled everything from defective products to deck collapse accidents. We are dedicated to seeking fair compensation for our clients. Our dedication has been recognized throughout metro-Atlanta, Georgia, and the nation. Our client was traveling through Marietta going southbound on I-75 in the middle lane, when a charter bus failed to see the traffic slowing in front of him, crossed over the far left lanes, and ultimately collided with our client, causing a five-car crash. Due to the accident, our client experienced serious injuries to his neck, back, and ankle, which required cervical and lumbar spine surgical fusions. Since having these procedures, he has not been able to return to work. Through intensive investigations, Attorney Kalka discovered the bus company ignored several previous safety violations, which contributed to the collision. While the bus company and their insurance provider failed to accept fault for the accident, Attorney Kalka fought relentlessly and secured a $2.25 million settlement to cover our client’s medical expenses, loss of income, pain and suffering, and loss of consortium for his wife. 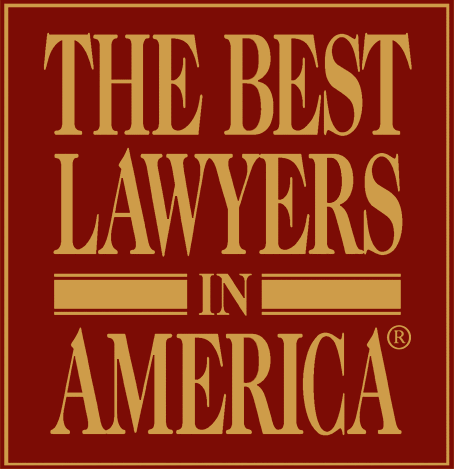 Top-rated Atlanta personal injury attorneys, Kalka & Baer, LLC represented a client who had suffered the loss of both of his legs. The client was an employee of American Disposal Services, and was stopped on near 5384 Austell Road in Austell to load some additional garbage into the truck. The truck’s emergency flashers were on at the time. A driver in a Dodger Caliber was traveling on the same southbound road crashed head-on into the client, and slid for 30 feet on the asphalt before it crashed into the rear of the truck. The force from the impact knocked him into the trash pile inside the truck. The man sustained injuries to his head and torso. Doctors had no choice but to amputate both legs. Thanks to the Kalka & Baer, LLC’s aggressive pursuit of the case, the firm successfully recovered $1, 000, 000. While driving southbound on I-85, a tow truck attempted to make an illegal U-turn in between pillars under a cross over bridge. This was an illegal move and it resulted in a serious car accident with our client who was traveling in the far left lane when the tow truck driver attempted this left turn. The tow truck could not complete the turn quickly enough and our client struck the back of the truck, causing their car to overturn into the median. Our client suffered numerous facial fractures, a broken jaw, lost many teeth, and had to undergo a number of surgeries. The tow truck’s insurance company attempted to deny liability, claiming that their driver had used his emergency lights and signaled that he was turning left, however, Attorney Tony Kalka and Attorney Matthew Broun at Kalka & Baer, LLC discovered that these were aftermarket lights that were not up to code. By proving this negligence on behalf of the tow truck company for not providing proper lights on their vehicles, Attorney Kalka and Attorney Broun recovered a $1 million settlement to cover all of our client’s medical expenses past and future, as well as pain and suffering, lost wages, and other associated costs. Negligence in auto accidents is one of the most common reasons for personal injury claims and incidents of wrongful death. Whether you or your loved one is suffering from fractures, damage to your joints, or dealing with a life-altering traumatic brain injury, our highly knowledgeable Atlanta accident lawyers know how to properly handle your case. Our legal team has the skills and tenacity necessary to properly investigate the underlying details behind your accident and help to prove liability. 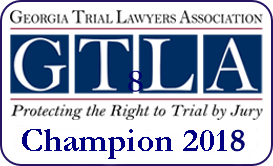 We fight for the maximum compensation available and have successfully recovered millions of dollars for clients who have been in serious auto accidents throughout Georgia. Attorneys Tony Kalka and Bryan Baer started their legal careers defending insurance companies and large corporations. Preparing defenses to personal injury claims gave them a great deal of knowledge about how the other side works. They are also able to use their experience in the courtroom, anticipating moves the defense will likely make and avoiding common mistakes some lawyers make when fighting against large insurance companies. This can prove to be a particularly strong advantage to any personal injury client giving our clients an insider's advantage and upper hand. Years of extensive legal practice preserving our clients' rights and obtaining positive results has allowed our attorneys to achieve a high level of success. Let us take on your claim so that you can focus on recovering. Remember: If we don't win, you won't pay! We work diligently to pursue the best possible outcome for our clients throughout Georgia. Discover why you should hire our Atlanta personal injury lawyers today. At Kalka & Baer LLC, we do not require any payment from you unless we obtain compensation during the settlement process. We provide a free initial case evaluation and complementary legal advice, so do not hesitate to get in touch with our office if you have been involved in an incident resulting in injury. There is no case too complicated or too insignificant for our legal team to handle. In the event that we are unable to get the results you needed, you do not have to worry about paying extensive fees. Consider it our promise to you that we will fight to protect your rights and your claim throughout the entire process. While it may seem like the last thing on your mind while you are recovering from injuries or dealing with the loss of a loved one from a wrongful death situation, it is essential that you seek legal help immediately. By allowing our firm to take a closer look at your case and negotiate with your insurance provider, it can take some of the stress off of your shoulders. Do not underestimate the amount of financial restitution that may be available to you for your loss and suffering. Rest easier knowing that you are in capable hands with our attorneys, as they will work fervently until the case is finished. Get in touch with our legal team today at (404) 907-1594 to learn more about our legal services.